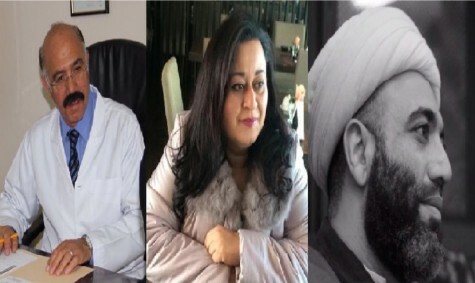 More prominent human rights defenders have been interrogated, charged and jailed in Bahrain in violation of their rights to freedom of expression and assembly, according to reports received by the Gulf Centre for Human Rights (GCHR). On 15 August, women’s rights defender and President of the Women's Petition Committee (WPC), Ghada Jamsheer, who is also a writer and blogger, was detained upon arrival from London, the United Kingdom at Bahrain’s airport in Manama. She arrived at 8pm local time and has not been released, but local reports indicate she has been moved from the airport. It is believed that she is being held in connection to sentences imposed on her for exercising her right to free expression on twitter. As of 19 August 2016, she has not been released and has not been granted the right to speak to a judge in order to request community service as an alternative to serving a prison sentence. She is believed to be held at Isa Town Detention Centre for Women, where she was held during a previous arrest in the same case in 2014. On 22 June 2016, Jamsheer, was sentenced on appeal to one year in prison by the Second High Criminal Court for four cases related to her tweets about corruption at King Hamad hospital. Also on 15 August, Bahraini authorities charged human rights defenders Maytham Al-Salman and medical Dr. Taha Al-Derazi with “illegal gathering”, following their arrests and interrogations on 14 August. The interrogation lasted over twelve hours, before they were detained to be presented to the public prosecution the following day. Al-Salman was released on bail, while Al-Derazi was remanded in custody for two weeks. The charges relate to their peaceful assembly in the village of Duraz, which has been blockaded by police since June after large-scale protests began following the revocation of the citizenship of Bahrain’s religious leader Sheikh Isa Qasim. Al-Salman and Al-Derazi are among many protesters who have been arrested and charged since June in violation of their right to freedom of assembly. These targetings and arrests come after several months of violations of the right to freedom of expression and assembly which has seen all prominent human rights defenders interrogated, jailed or exiled. GCHR remains extremely concerned for the health of Nabeel Rajab, Founding Director of GCHR and President of the Bahrain Center for Human Rights (BCHR), who requires urgent treatment for various medical conditions such as gallstones and a bleeding ulcer on his back. Photo credits: Photos of Dr. Taha Al-Derazi and Maythan Al-Salman courtesy of Al-Salman’s twitter. Photo of Ghada Jamsheer courtesy of Jamsheer.